#49622 Freedom Train Passenger Set made in 2008. ALCO PA diesel locomotive, Heavyweight Baggage Car, two Coaches, and Observation Car. Here's a picture of its nose. 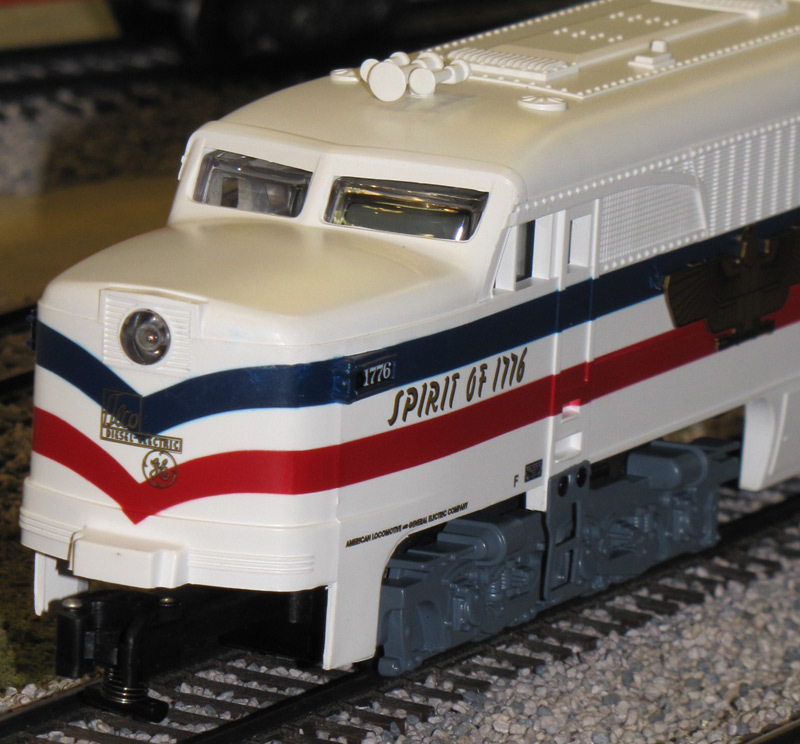 The #49922 Freedom Train Two-Pack made in 2008 was advertised as a Coach and Diner. But when Lionel shipped it, it turned out to be two display cars. #49919 Freedom Train display car #3489 made in 2008. #49920 Freedom Train display car #3465 made in 2008. 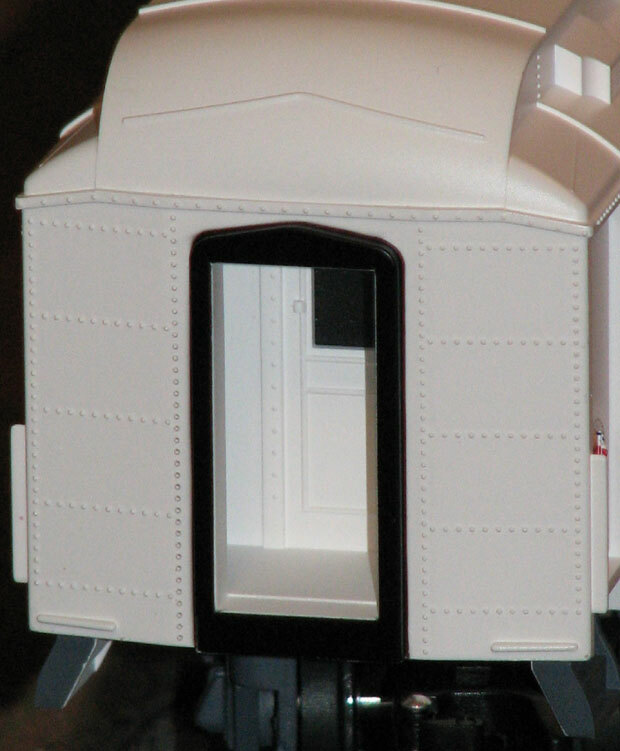 Unlike Gilbert's Pullman Heavyweights, these have a realistic vestibule at each end of the car. #49929 Pennsylvania #3510 display car made in 2009. The books I am using for reference are listed in the Bibliography page. All the writing and all the pictures on this website are, however, my own and copyrighted, except where cited. No copyrighted materials owned by others have been included and all pictures provided by others are used by permission.